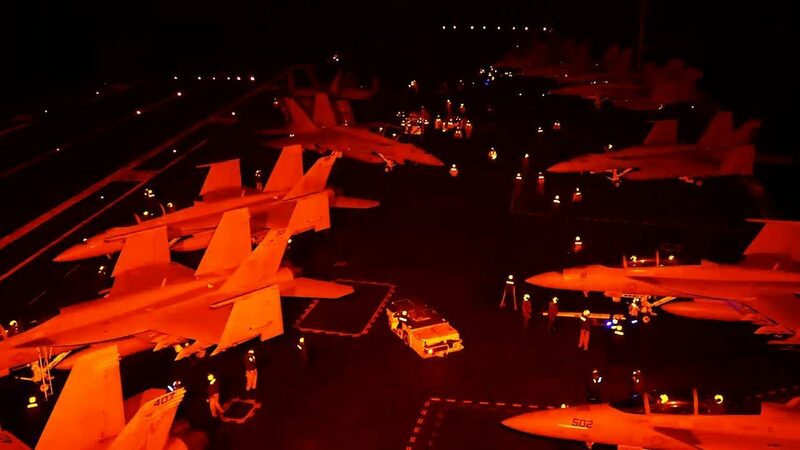 The aircraft carrier USS Theodore Roosevelt (CVN 71) conducts night flight operations. 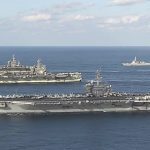 About 7,500 Sailors and Marines with the Theodore Roosevelt Carrier Strike Group left San Diego Friday morning heading for the western Pacific and the Middle East. 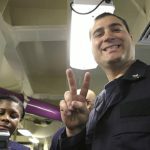 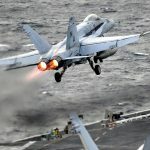 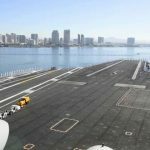 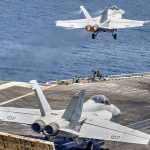 Posted On October 12, 2017 in Military, Navy with 0 Comments.Tagged: aircraft carrier, Flight Deck, military technology, military training, Navy, US Military, US Navy, USS Theodore Roosevelt.